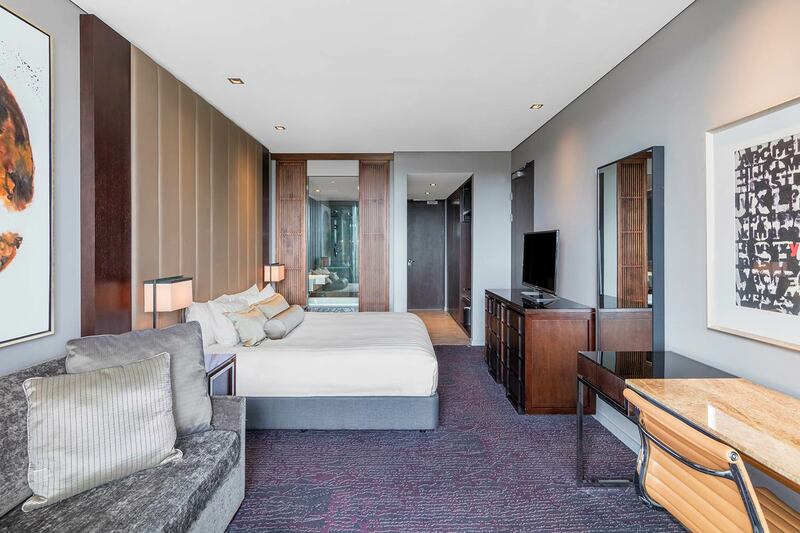 The Paddington Deluxe room offers an exceptional standard of luxury, style and comfort. 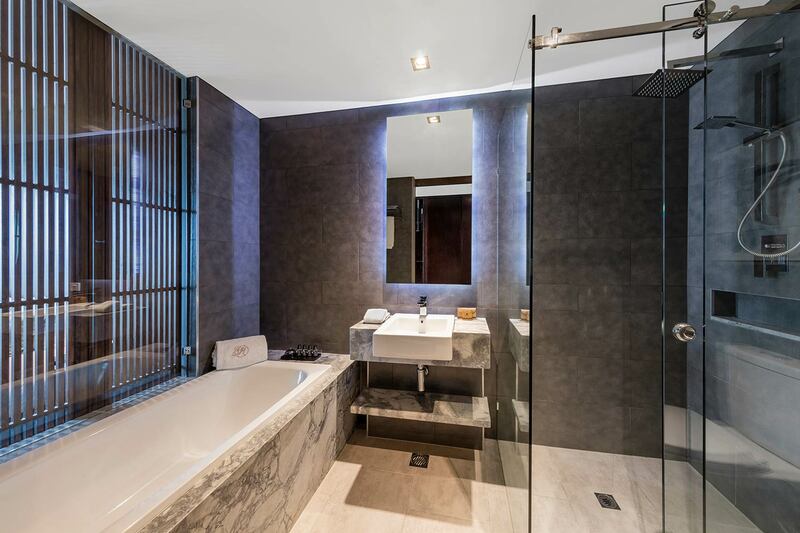 Experience genuine glamour with oversized ensuite bathrooms, featuring deep soaking tubs, separate rainfall showers, marble vanities and bathroom amenities by MOR. 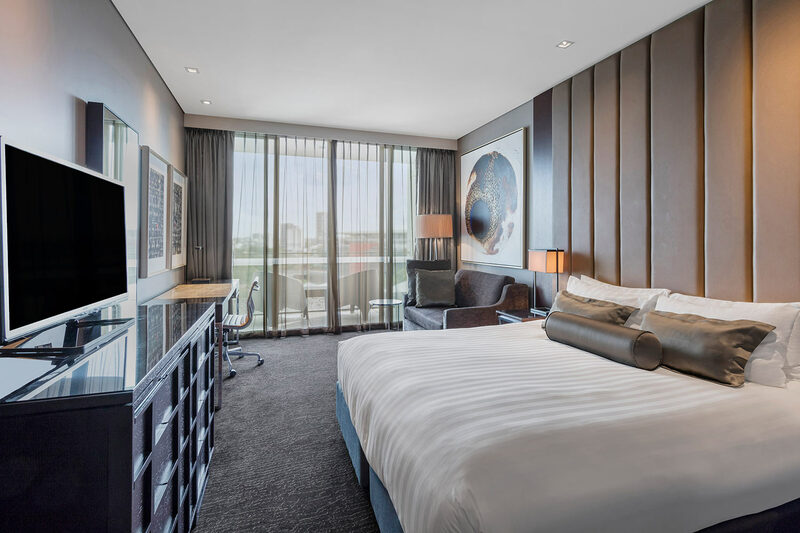 And discover your most restful sleep possible with the Gambaro Hotel Signature Sleeps Collection. 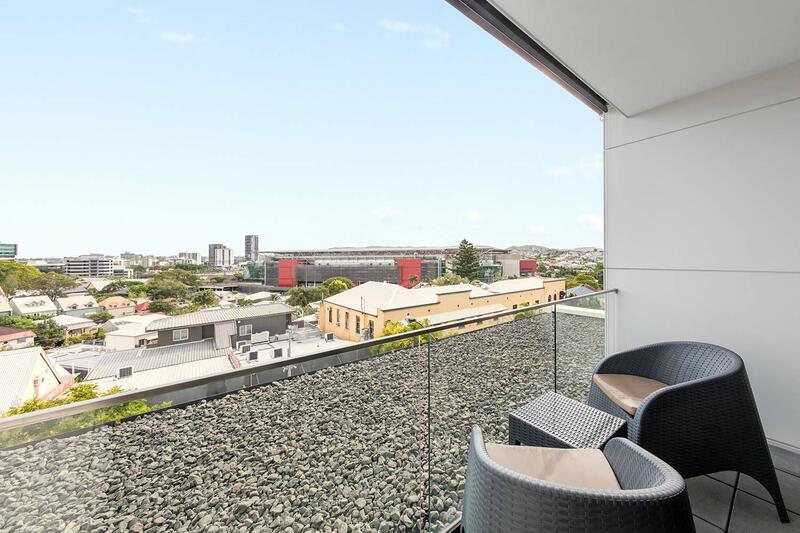 All of these exceptionally well-appointed rooms feature elegant interior furnishings and private balcony terraces, accessed through floor to ceiling glass sliding doors, amplifying your sense of space and light, along with views of iconic Caxton St, Brisbane City and Paddington. Expansive sitting areas, and large work desks make these rooms well-suited to the business or leisure traveller. For special event stays or families, Paddington Deluxe Rooms can be interconnected with a Paddington King Room (subject to availability).